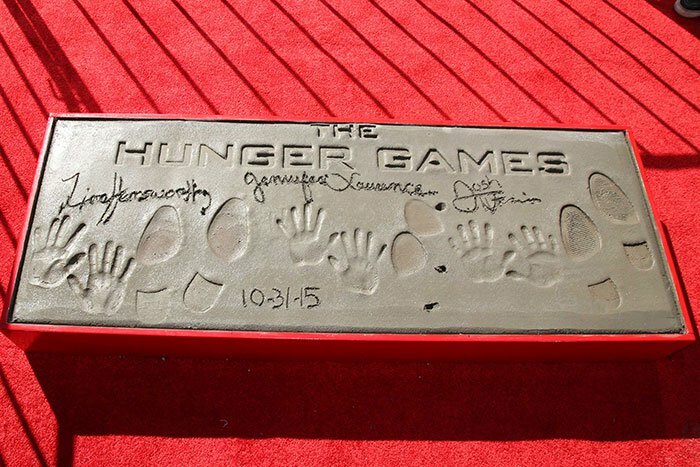 ‘The Hunger Games: Mockingjay Part — 2’ stars Jennifer Lawrence, Josh Hutcherson, and Liam Hemsworth arrived at TCL Chinese Theatre in Hollywood last Saturday for the prestigious hand and footprint ceremony. 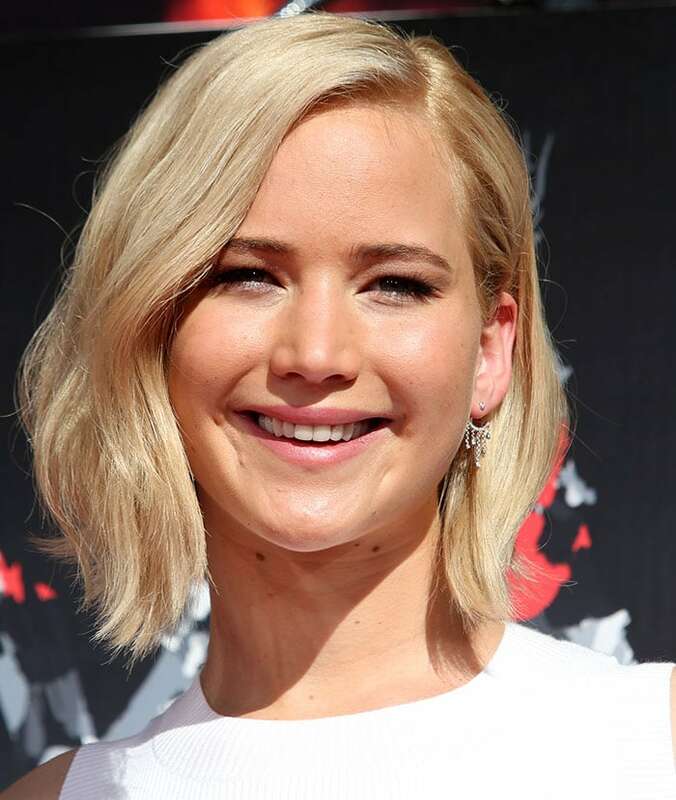 Both men looked clean and handsome in suits, while J.Law was fresh and chic in a white ensemble from the A.L.C. Spring 2016 collection. The 25-year-old actress flashed a hint of midriff in a white knit sleeveless top paired with a flared printed skirt with an asymmetrical hem. She styled the outfit with minimal accessories — a pair of mini chandelier earrings and a bracelet — and kept the rest of her look simple with a soft wavy bob hairstyle and barely there makeup. Jennifer didn’t bother removing her heels and stood on the cement in a pair of Stuart Weitzman “Nudist” sandals.